Great family vacations out on the open road don’t just happen in the States! Traveling by car and staying in hotels and bed & breakfasts is a great way to go, but when you really want to get to know a place, renting a motorhome in Europe is tough to beat. These days, lots of travelers are foregoing staying in hotels for vacationing by motorhome, and there are plenty of great reasons that RV vacations are becoming so popular. One of the most often cited reasons for this growing trend is pure economics. 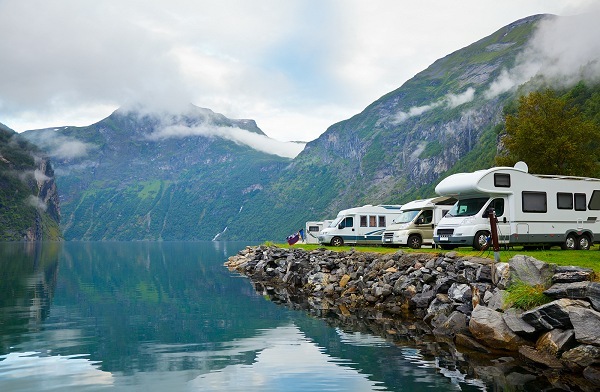 But, while traveling by RV is certainly a great value, dollars and cents are not the only motivating factor in the recent uptick in European motorhome rentals and campsite reservations. When you rent a motorhome, you’ll have the opportunity to experience parts of your destination that those who travel by automobile often miss. Plus, there’s no need to check in, and you don’t need to set an alarm to make sure you don’t sleep through checkout time. In a camper van, you’ll explore the world at your own pace. Imagine driving across the Black Forest in Germany; taking in the fresh air, stunning vistas, and rugged landscape of Iceland or Norway; or touring the lakes of Northern Italy, driving from the Swiss Alps to the grand city of Venice itself! With a motorhome, travelers have plenty of places to stay. There are nearly 3,000 campgrounds designed for camper vans, scattered throughout Europe. In Australia and New Zealand, you’ll find at least 3,000 more. The bottom line is this: wherever you go in your motorhome rental, a restful night’s sleep is never far away. Worried about comfort? There’s really no need. 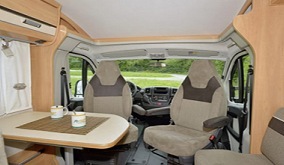 Today’s fully equipped motorhomes are a far cry from the bare-bones models of yesteryear. You’ll have plenty of room to stretch out; lots of storage space for food, clothing, and gear; and large, comfortable beds. You can eat dinner, play a board game with your family, and take a nice, hot shower before bed, all in the comfort of your portable home on wheels. With a motorhome rental, you’re free to venture off the beaten path. You don’t need to worry about confining your adventures to towns with nearby inns, because campgrounds are never more than a short drive away.